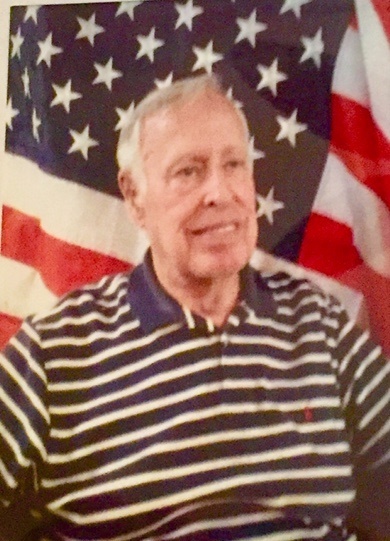 Michael Francis Sutton, age 87 of Bluffton passed away on November 25, 2018 at Coastal Carolina Hospital, Hardeeville, SC. Mr. Sutton was born on March 31, 1931in Astoria, New York to the late Michael Sutton and Mary Dober Sutton. Mr. Sutton was a retired Ironworker and Transportation Supervisor for Bus Services. He was a United States Army Paratrooper. He loved swimming at the Island recreation center and riding his bike. Mr. Sutton is survived by his son, Michael Sutton of San Antonio, TX; his daughter, Bunny Boggs (Jeff) of Peachtree City, GA; his sister, Mary Alice Bronstein of New York City; his faithful friend, Joyce Flowers of Hilton Head Island, SC; and four grandchildren, Kevin and Brandon Killory as well as Danny and Connie Contreras. Funeral services will be held at 11:00 am, Thursday, December 13, 2018 at Sauls Funeral Home, 90 Simmonsville Rd., Bluffton. Burial with military honors will follow at 1:00 pm, Thursday, December 13, at Beaufort National Cemetery, Beaufort, SC. Please consider donations to Disabled American Veterans at secure.dav.org/donate. This was Michael’s favorite charity and close to his heart.